You can’t have a good Sunday roast without proper gravy. And as well as Comptons Gravy Salt, there are a few gadgets that can help you get perfect results. Roasting your meat on a Sunday is just the beginning of your gravy journey. We like to pour the hot roasting pan juices into a fat separator jug. Avoid splashing it everywhere and wasting the good stuff by using one of the Lakeland roasting tins with a very handy corner ‘nose’ for an easy pour. Are you ready to separate fat like a pro? A Fat Separator Jug will do the trick for you. Not only does it easily separate fat for a much healthier gravy, simply squeeze the built-in trigger on the handle to release cooking liquid from the bottom and leave fat behind. Keeping the heat high and those precious juices bubbling, whisk in a little flour and add your Comptons Gravy Salt. Reduce to a sticky glaze and then gradually stir in enough stock for the amount of guests you have to feed. Reduce again so you get it to your perfect consistency. It’s all in the whisking if you ask us - which is why we like this red Colourworks Magic Whisk. As well as being in the Comptons Gravy Salt colours, it’s antiscratch, odour, stain and heat resistant to temperatures as high as 260 degrees celsius. Technically not a gadget… But how can you create the perfect gravy without serving it in something equally as fitting? Our friends at Absolutely Nice Vintage come across some of the best vintage finds and despite how tempting it must be, they don’t keep their treasure all to themselves. Instead they sell it online and from their base in Carlisle - not far from the spot that Comptons Gravy Salt used to be made. With stunning furniture, taxidermy and prints up for grabs, it’s no surprise that previous clients include Pinewood Studios, Disney, Jack Wills and designer Wayne Hemmingway to name but a few. 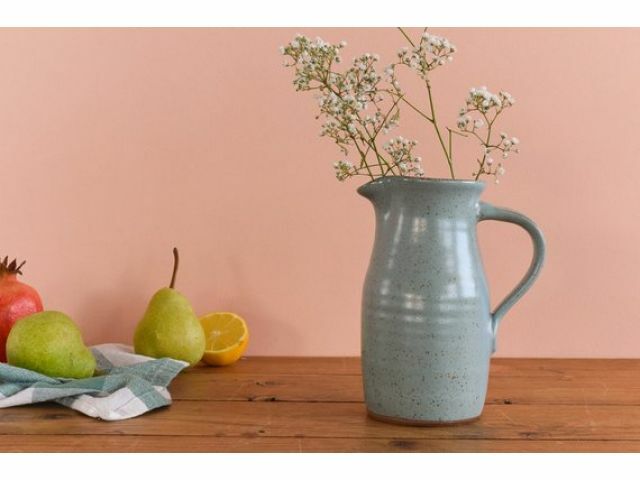 Currently their artisan ceramic jugs have caught our eye - perfect for serving gravy on a Sunday. What are your must-haves for the perfect gravy? We’d love to hear your top tips!